Data protection and consumer research has always been a bit of a blur. Technology has confounded this and the so-called mobile revolution will create a series of new tests for the industry. To paraphrase Bill Gates: If your systems are already chaotic, computers will make them even more chaotic. If your systems are organised, then computers will make them even more organised. In other words, whatever state your organisation is in, computers will simply amplify that state. While Bill’s quote seems adept to data protection & consumer research issues on PC’s, it also raises questions around the use of mobile ethno/qualitative research tools and how we need to think about privacy issues on these connected devices. Let’s begin with the participant who is keen to earn some quick cash (and let’s face it, MR incentives are a source of quick cash), they will allow researchers and their clients into their home, to film the contents of their fridge, ask them about their feelings on a given topic and then pay an incentive in return for signing away any rights to everything captured of them, forever. • Research filming their neighbour who unexpectedly pops in for a cup of tea, but didn’t sign a release form (the panelist might have forgotten or not had enough spares). • Their best friend’s children come over to play with their kids and the researcher wants to capture the moment before obtaining permission from the friend. • The respondent might talk about something they felt uncomfortable about and subsequently might wish they hadn’t shared. • Footage might have filmed them taking out their credit card and left them worried about whether or not the research firm would then pixelate their card details during editing. At the heart of the problem for the respondent is an almost certain reluctance to raise any of the above concerns in case the incentive payers felt disappointed and didn’t ask them to take part in a project again. This is an example where consent is expressed, but not given internally. Such informed consent implies none of the above events will ever take place and that respondents will always feel completely at ease with the way their data is downloadable from the hard drives of client and agency side organisations. In my view, this is the awkward, uncommunicative twin sibling of transparency. And transparency, in a world where digital tools are evolving too fast for any guidelines to stay abreast of them, is the only way to make any progress in the context of data privacy and ethics. 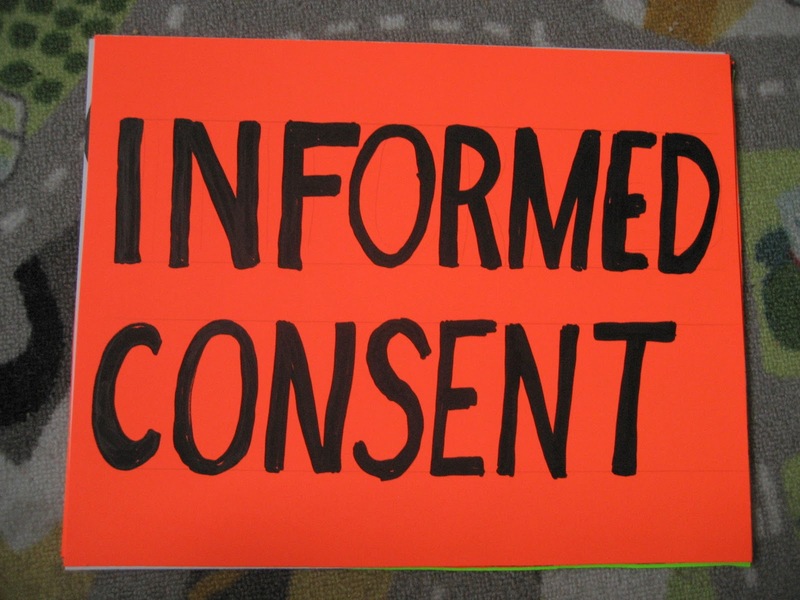 In other words, informed consent may still be required, legally, but transparency is ethically much more sound when it comes to research participants feeling comfortable by knowing who is seeing their data. My argument, however, is that using mobile tools we can give ownership to repondents themselves. And we are fortunate enough to live in a time when mobile research platforms can offer participants this transparency. The difference with mobile research methods and other research methods is that participants are usually capturing their own lives using their own smartphones. And by definition, they are editing/censoring, perhaps unconsciously, what they share with the researcher. However, despite the control participants think they hold over their content, when combined with the aforementioned issues, mobile tools can compound the issue of privacy and data and protection. • The respondent has no idea who else has been invited to view the project on the mobile research platform. Putting workable informed consent into practice on a mobile device would be impossible in the above situations, even if you exercise the ‘right to forget’ and delete everything from the server. The reason for this is that clips of the participant can still remain on individual hard drives from earlier downloads. Let’s be clear on a simple point; data protection is a basic human right. Not just a nice to have. The right to be forgotten is also a basic human right. Yet mission creep, when one’s data is used for a reason other than originally agreed, no matter how vaguely agreed, is impossible to allow for without giving all of your rights away and impossible to keep track of. So how do we even begin to protect research respondents whose lives are stored on a mobile research platform? How do we ‘forget’ about a respondent whose content may be on countless hard drives three years after they first took part in a study? The answer is that you simply can’t. It is simply just not possible. Yet the very advances in digital qualitative/ethnographic research that are amplifying the challenges of data protection and privacy, may also come to its rescue. We at EthOS, for example, are experimenting with tacit updates to provide hitherto impossible-to-achieve levels of transparency. Owners can toggle on a permission feature during or after a study has been completed. Participants may now see not only who has downloaded their content; but for what reason and for which audience. They can also ask the downloader more questions if they wish. But, critically, and once beta testing is over, they will also be able to refuse permission to download. In the meantime they receive alerts and quarterly download digests with explanations and contacts. The onus will then be on the downloader to comply with the user’s request avoiding any risk of mission creep from occurring. The days of large organisations exerting complete control over participant data is disappearing. Participants are more knowledgeable about their rights and far less accepting of inflexible release forms which although legally sound, are ethically unsound, forcing them to be the gagged partner in what should be a two-way conversation between them and the researchers. Siamack, this is a very thoughtful post. It's true that when it comes to privacy, often times, even though the participant has agreed to participate, there isn't a lot of freedom for participants to change their minds about the extent that they want to be involved, or maybe they didn't read the agreement in the first place. Which in itself, doesn't mimic the real world. Providing a user profile feature could help both researchers and participants track whether they want their feedback used in the research synthesis. The only thing is, wouldn't the participants be aware that their information may be used in some way? Have you seen any concrete benefit to participants when you provide them feedback about how their information was used? It is a good idea to provide feedback loop regarding participant's involvement in the research, and I've done this by following up with a survey. But it's a little bit tricky to do, because let's say you haven't paid out incentives. Then as you say, they may skew positive just to ensure they still get their incentives. Or if you do give incentives and then ask them about their experience, they may also skew positive because they just received something from you. So, the issue really is that there has to be a change in the culture and the relationship between researcher and participant, where it is really a level relationship focused on sharing information rather than a carrot-and-stick culture. A lot of research firms have trouble making this shift. Why haven't I thought of doing this before?